Lateral quickness is an important part of athletic development. Having the ability to effectively decelerate and then re-accelerate the other way is critical for success in field and court sports. 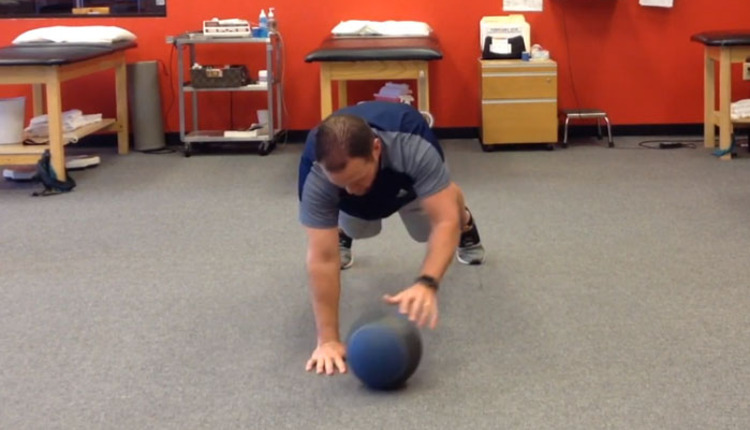 Incorporating such movements as part of a multi-directional speed training plan will pay dividends for athletes. 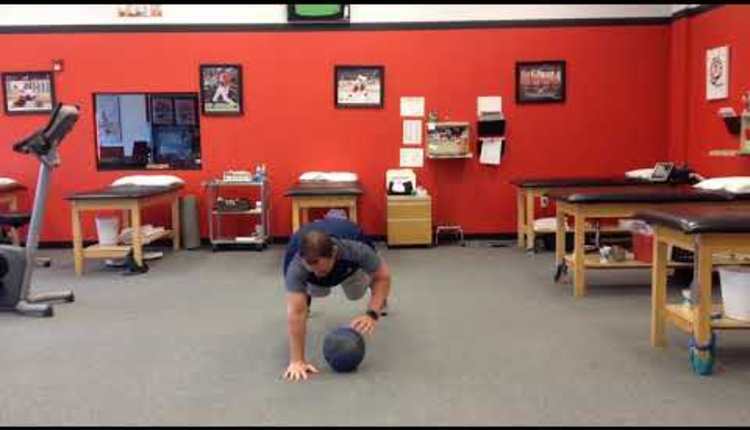 This exercise looks at using a BOSU Elite Balance Trainer to improve lateral speed and quickness. 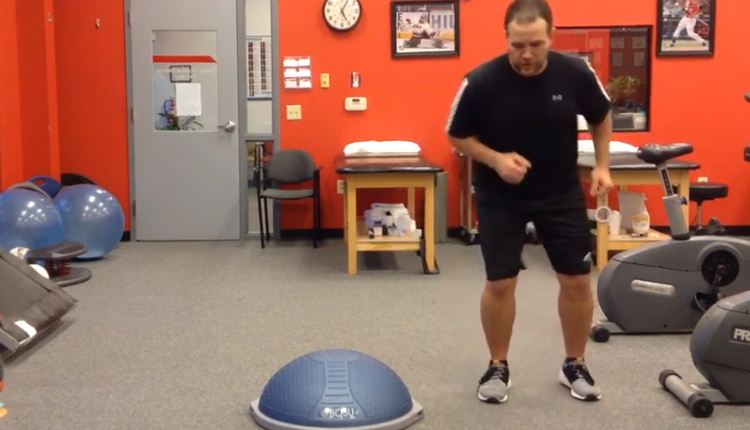 Begin standing off to one side of the BOSU Elite Balance Trainer (dome side up). Next, quickly step-up onto it placing the balls of the feet in the power zone (back portion) and then completely off to the other side. Both feet should contact the ground, however, most of the body weight should be on the outside leg, while the inside foot only lightly touches the ground. Once the inside foot lightly contacts the ground, rapidly push off the ground using the outside leg repeating the sequence to move rapidly back to the other side of the BOSU Elite Balance Trainer. Repeat this sequence for 20-30 seconds. Rest for 2-3x the length of the work interval and repeat for 2-3 sets. For advanced clientele who may need added stability challenges, move to a traditional BOSU Balance Trainer. To increase the conditioning demands, reduce the rest interval based on form and fitness levels. If balance and control are an issue, first slow the movement down and add a pause or to the movement emphasizing the deceleration control. 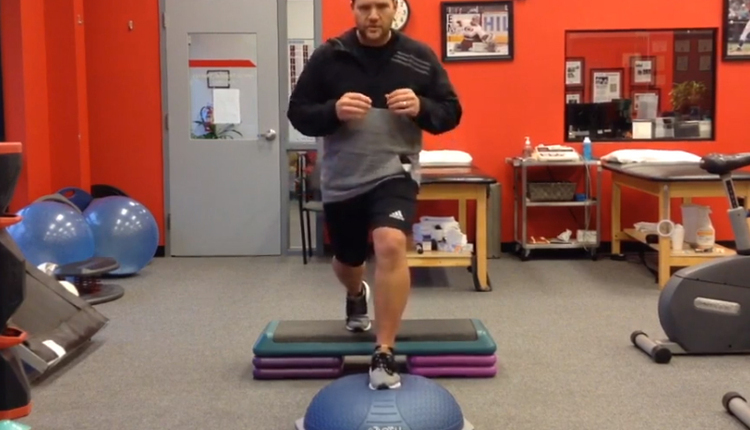 An additional consideration could be using an aerobic step initially, prior to moving to a BOSU Elite Balance Trainer. 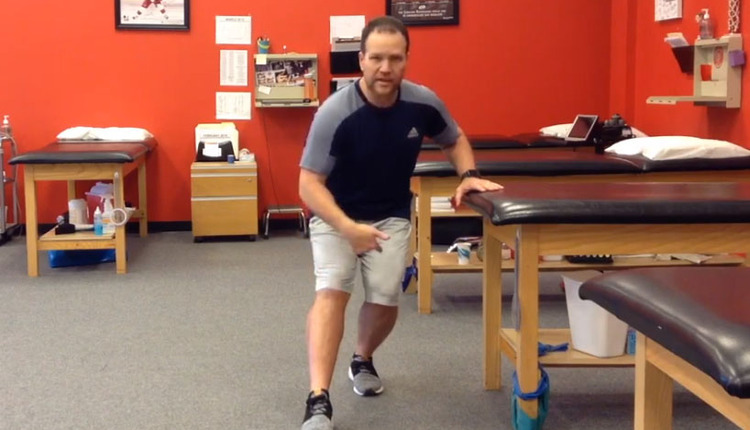 This exercise is an excellent way to increase lateral foot speed and quickness. 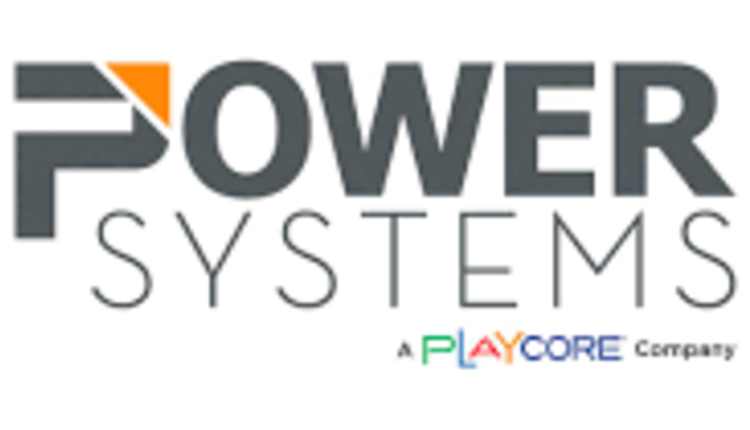 In addition, it allows you to introduce energy system training, improve proprioception and enhance dynamic lower limb stability. It is also a great way to train body control and deceleration - two key things necessary for injury prevention in jumping and cutting athletes. Athletes may tend to stand upright once they come back down to the ground, so coaching and cuing them to stay low and not allow their shoulders to move outside the outside leg may be necessary.